Welcome to the homepage of Tstat, a passive sniffer able to provide several insight on the traffic patterns at both the network and the transport levels. To quickly have an idea of the Tstat capabilities, you can either read a brief overview or use its web interface. 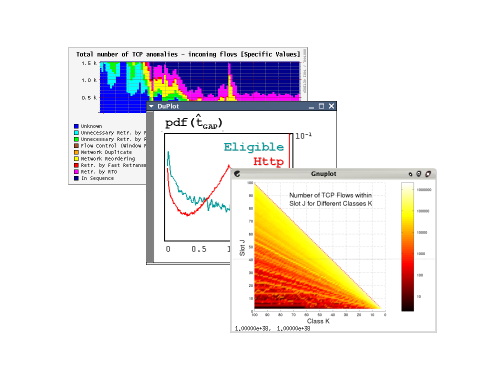 Then, for more details on Tstat, you can browse the documentation, starting for example from the featured measurement indexes or have a look to the publications section. Finally, you can download Tstat and other useful post-processing tools, and start playing with them.